Ask the first man or woman you meet on any street in Europe after the name of a famous mountaineer and you will very likely get the response: „Reinhold Messner“. Although he did his pioneering ascents in the Himalayas andKarakorum more than a quarter of a century ago, the 68-year-old South Tyrolean is still very present in public awareness. 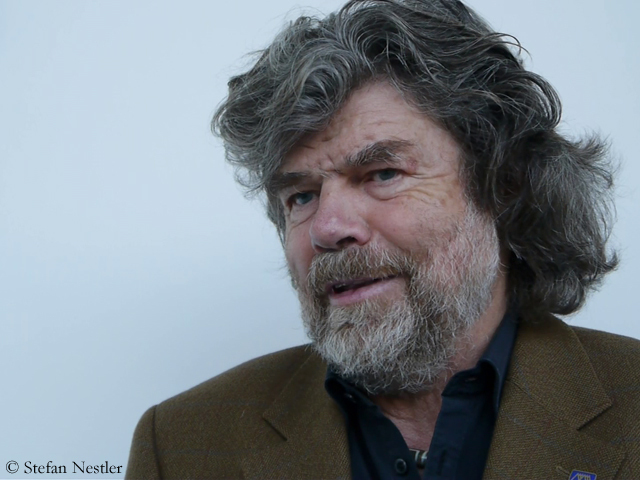 Messner has been contributing his part by writing book after book, givings lectures and interviews – and polarizing with his statements. In my interview with him on the occasion of the upcoming 60th anniversary of the first ascent of Everest Reinhold Messner again had clear positions. Don’t wonder why I didn’t ask him about the recent incident on Everest. We met before. Reinhold Messner, we first look back on the 29th May 1953, when the New Zealander Edmund Hillary and Sherpa Tenzing Norgay became the first men to reach the summit of Mount Everest. Would you say that this was an outstanding achievement of two courageous mountaineers or rather a team performance? It was primarily a British team performance because the British have brought the know-how and the money and made huge preparatory works. From 1921 to 1953 many expeditions had failed on Everest. However, one must also attribute a part of the success to the Swiss who in 1952 had made two attempts with Raymond Lambert and had climbed up very high. Tenzing Norgay had belonged to this team too. I think without these experiences the British wouldn’t have reached the top in 1953. But we must also say that the summit success was due to Hillary’s talent to dare. The British had tried it themselves but had failed to reach the summit. But then this young lanky New Zealander proved his desire and courage to dare, and he and Tenzing were successful. It remains a magic moment of mountaineering. Hillary wasn’t an extreme mountaineer, but a traditional climber doing things as a matter of course. Typical New Zealand. The first ascent was followed by a phase that I want to call the ‚sportive phase’ in the 1960s and even more in the 70s and 80s: new hard routes, first winter ascent. 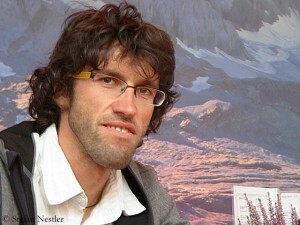 In 1978 you and Peter Habeler firstly climbed Everest without supplementary oxygen. And in 1980 you did a solo, again without oxygen, during monsoon. Was Everest the ultimate challenge for you at that time? After the ascent via the Southwest Face by Doug Scott and Dougal Haston in 1975 I realized that only one option remained: to climb Everest with less and less equipment. For me the Everest solo was the icing on the cake of my climbs: the highest mountain in the world, during monsoon, and as far as possible even on a new route, of course without oxygen. Afterwards I was close to say I finish the 8000ers and go to Antarctica. But there were still a few of my old ideas like climbing three 8000ers in a row or a double traverse. Young guys like Friedl Mutschlechner or Hans Kammerlander urged me: ‚Let’s realize these things now!’ Then I organized it and we succeeded. Later in addition I got the chance to climb all fourteen 8000ers. By 1980, some of them had not been accessible. In the 90s commercial mountaineering started on Everest and has been characterizing climbing on the highest mountain until today. What kind of mountain is Everest for you, 60 years after the first ascent? How do you think about what’s going on there just now? It is still the same mountain. The oxygen partial pressure is still the same. And Everest is still relatively dangerous. I call the current phase ‚piste alpinism’. That makes the big difference. Before all the clients of the tour operators start climbing, not only dozens but one hundred Sherpas move up and prepare a via ferrata. It’s better prepared than any via ferrata in the Alps. Then the clients take this piste, any difficulty is excluded, and the dangers are minimized – not to zero, that isn’t possible. Now it’s discussed whether a ladder – like at the Second Step on the north side since 1975 – should be put up at the Hillary Step, the only a bit difficult passage in the upper part of the route. I have suggested to install there a traffic light like in the city, so that everybody knows who is allowed to climb up and who to descend. In this case the climbers would have to observe the road traffic regulations and there would be fewer accidents. The accidents have been mainly caused by the chaos, by waiting and standing around in the cold. The people got hypothermic and some of them died of it. Due to the development that you have described the type of climber who tries to scale Everest has changed significantly, hasn’t it? Yes, today you find many people on Everest who aren’t climbers or, let me say, no experienced climbers. They know that many people have reached the summit, it is possible. Basically, Everest is possible for everybody who has climbed any easy 4000-metre-peak in the Alps – if the route is prepared. I guarantee you that no three of the thousand clients who are on Everest just now would start climbing if the route has not prepared before. The mountain has been enchained, with ropes and ladders. Thus it’s accessible to all. I don’t care whether it’s right or wrong. That has nothing to do with classic alpinism. People neither climb Hillary’s Everest nor my Everest. They climb another mountain, even if it is geologically the same. 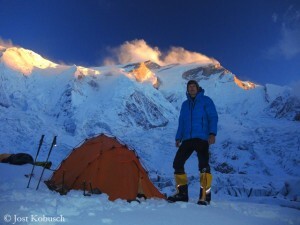 What do you wish Mount Everest on occasion of the 60th anniversary of the first ascent? I think it’s too late. Everest has already become a banal mountain. This is a shame. 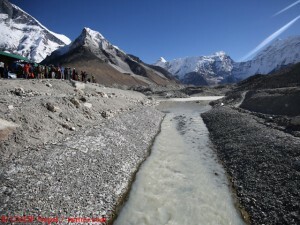 There are still new routes to be climbed and the possibility to traverse Everest and Lhotse. Just now two very good climbers (Denis Urubko and Alexei Bolotov) are trying to climb a new route in the southwest face, to the right of the line of Scott and Haston. This is very difficult in the upper part. If they are successful in Alpine style, I am the first to congratulate – although they reach the crowded summit of Everest. I don’ think we ever can return the atmosphere of the past to Everest. The best climbers no longer go to the 8000ers, but to the most difficult mountains in the world which are 6000- or 7000-metre-peaks. There they find any kind of playground. But it is a pity that the really good climbers have fewer opportunities to finance their expeditions because so much attention is taken away by the Everest tourists. Do you give Everest a wide berth or are you still attracted by the mountain where you have experienced so much? I’m not hungry for Everest each year. But this year I’ll be there because I want to make a documentary for European television. I will not only visit the base camp, but look on it from above. Not by climbing up, but by watching these crowds of climbers. I would also like to make a drug test. I am curious if anyone is willing to give an urine sample. 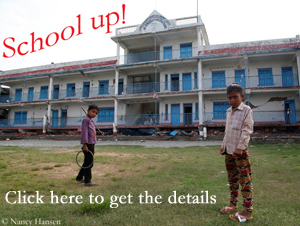 It’s said that doping on Everest is at ‚university level’ compared to the ‚kindergarten‘ Tour de France. I wouldn’t go quite as far but it’s a fact that there are no drug tests on Everest. We know that in sports particularly amateurs dope themselves to be a bit faster than last year or climb Everest faster than their secretary. I’m interested in the psychological point of view: What makes us climb Everest? Also for me the summit of Everest was a ‚vanishing point of vanity’. There are so many images and clichés connected with Everest. 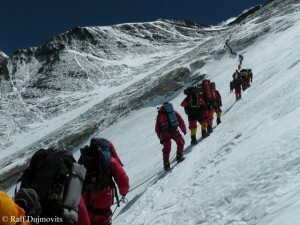 I can understand everybody who wants to scale Mount Everest. But they should have the courage to describe their ascent exactly as it was and not try to distort the facts afterwards, e.g. by being photographed standing alone at the summit after 50 other climbers have been put out of the picture – just to tell the world, look, I was alone on top. Or climbers who are talking about Alpine style although they are climbing up on the prepared piste. It’s impossible. Even if someone is not touching the ropes, it isn’t Alpine style because the ropes are there. This has mainly to do with the psychological side. I have a very different fear if I’m all alone in the summit area of Mount Everest and if I know that there is nothing below me, no sherpa, no tent, no rope. And if a serac collapses I will not find my way down. If I know that the piste is prepared and under supervision of Sherpa specialists, I’m far less exposed. And the exposure is the key that makes sports an adventure.